I did say in the previous post the next one was going tone big and it was a secret... a Keeper of Secrets!! My Heretic Astartes Kill Team are pretty obvious Slaanesh disciples and if I were ever to expand that into a 40K Detachment - they're end up being Emperor's Children or something similar. 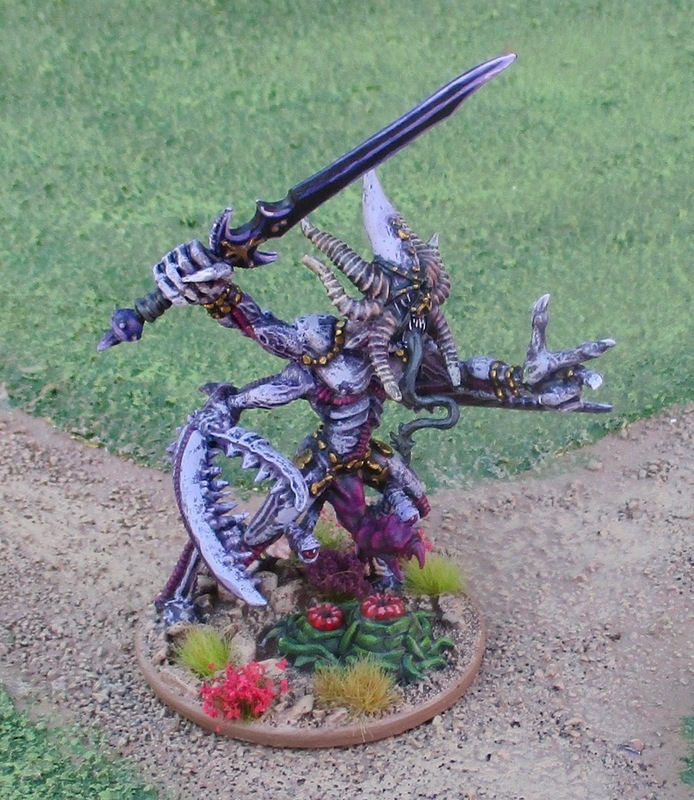 Actually if I were to ever do a 40K Chaos force, I'd probably be more interested in a Daemon Host - with maybe a few Chaos Space Marines and Cultists... I've got the Greater Daemon now! I did a bit of converting on this beastie... this is a close up of said conversions. The original model came with a loin cloth. I always wondered why a Greater Daemon of Slaanesh - the Chaos God of Excesses - would bother with a loin cloth...? The Wrath & Glory campaign I'm going to be running on alternating Saturday evenings starts tonight... perhaps I'll have a report of how that went down? 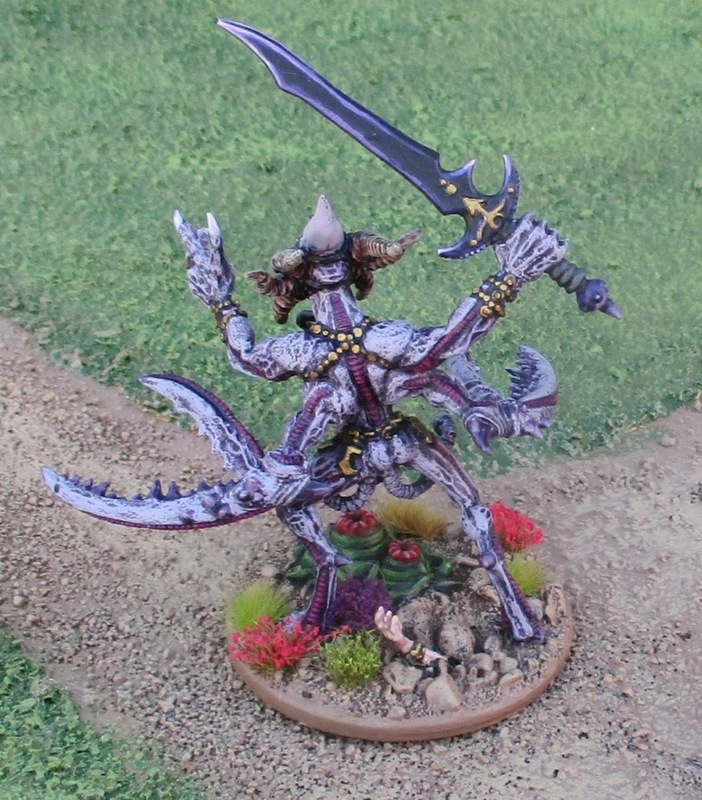 It seemed weird to me that a Greater Daemon of Slaanesh would wear a loin cloth... I mean really, what are they trying to hide under there? Trying to keep it a mystery? A secret? Hmmmm... I guess it IS the Keeper of Secrets... Ah well, the proverbial cat is out of the bag now! 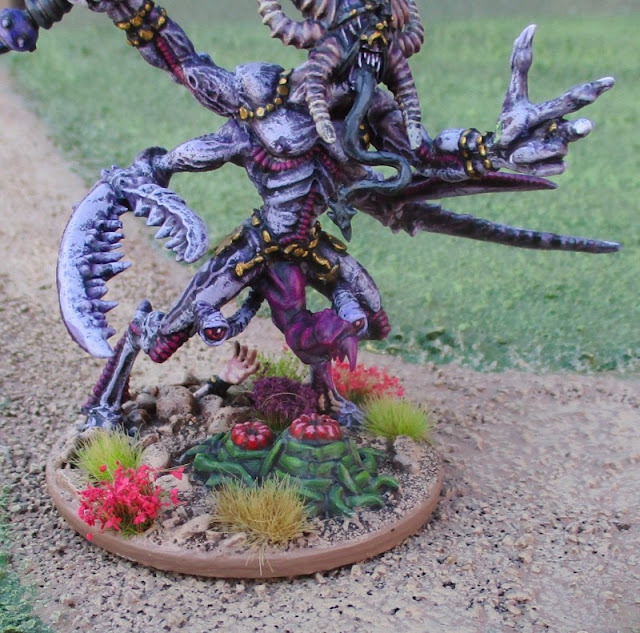 Great looking Daemon! Nice bit of converting too!